1comment 2019-04-15 11:39:54 source:FX168 The second beauty energy comes! US President Trump again on weekendsFederal ReserveTo blame, if the Fed works properly, the US GDP growth rate should be much higher than 4%. Investors will be concerned about whether Fed officials will respond to the president's comments in this week's speech. This week, investors will welcome a lot of important data, the most concerned of which is undoubtedly the US retail sales data known as "terror data." In addition, investors will also pay attention to trade issues, which are expected to have an important impact on this week's trend. US President Trump launched the latest "attack" against the Fed on Sunday, claiming that if the Fed did not take action,US stock marketWill be "more than 5,000 to 10,000 points". Trump issued a tweet on Sunday saying: "With almost no inflation, if the Fed works properly, then the stock market will rise by 5,000 to 10,000 points, and GDP will far exceed 4% instead of only 3%. Tightening is a killer. It should have done the exact opposite!" According to Bloomberg, informed sources have previously revealed that Fed Chairman Powell told a lawmaker at a Democratic party a few days ago that the Fed will not succumb to political pressure. The Fed’s apparent dovish shift at the March meeting reduced the expectations for rate hikes this year to zero. In addition, Fed policymakers said they would end their balance sheet contraction in September. Fed Chairman Powell said at a press conference after the March meeting that economic growth has slowed more than expected. As global risks put pressure on the economic outlook and inflation remains low, interest rates may remain unchanged for a period of time. Powell recently made it clear that he and his colleagues are not in a hurry to adjust interest rates because of slowing economic growth and keeping inflation low. Despite this, Trump is still "not refusing to spare", and his accusations against the Fed are constantly escalating. US President Trump said on April 5 that the economic data is very, very good; the Fed actually slowed down the US economy. The Fed should cut interest rates and stop quantifying the tightening. Trump then said: "The Fed should cut interest rates, they did slow down our speed do not see inflation.."
In the past few months, US President Trump has been accusing the Fed-led Fed of raising interest rates wrongly, dragging the US economy and the stock market. Earlier reports said that Trump had called Fed Chairman Powell on March 8. At that time, concerns about the US job market caused the US stock market to hit its biggest weekly decline this year. In 2018, Trump also repeatedly criticized Fed Chairman Powell and the Fed for a series of interest rate hikes. On November 20 last year, US President Trump once criticized the Fed, saying the Fed was a "problem" and called for lower interest rates. Trump choice to replace Powell Yellen as Fed chairman, but later hinted regret this decision. According to Bloomberg reported on December 21, it is reported that Trump discussed the need to replace Fed Chairman Powell. US economic data released this week, including retail sales, housing data, and the New York State manufacturingindustryProduction data. In addition, the Fed will release its Beige Book. Analysts said the data will be this weekDollar,goldThe trend plays a crucial role. They pointed out that the release of a series of data may trigger more volatility in the market. Phil Streible, senior market strategist at RJO Futures, said, "Gold seems to have responded to the Fed's assumptions about data, and some data once again prove that raising interest rates is reasonable." At 20:30 Beijing time on Thursday, the US Department of Commerce will release retail sales data for March. Given its consistent influence, data performance may have a significant impact on the market. 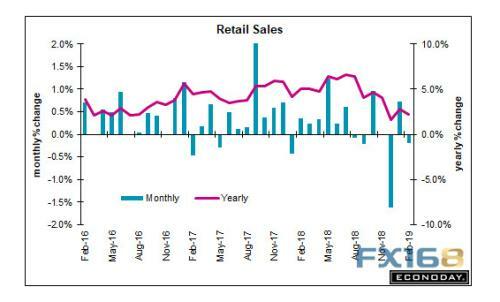 Foreign media surveys show that the monthly retail sales rate in the United States is expected to rise by 0.8% in March, down by 0.2% last month. The US core retail sales rate in March is expected to rise by 0.7%, down 0.4% last month. Because the Fed emphasizes that interest rate decisions will depend on economic data, and consumer spending accounts for about 70% of US economic output, US retail sales data often “stuns” in financial markets, so it is called “terror data”. Bart Melek, global strategy director for TD Securities, said retail data may also beGold pricehave a huge impact. He said that any data above market consensus will prevent the price of gold from breaking through its range. Melek explained that if retail sales failed to rebound sharply this week, gold would benefit, and traders might see gold prices rise to $1,306 per ounce and then rise to $1,320 per ounce. Investors will also pay attention to trade issues, and it is expected that relevant developments will have an impact on market trends. According to foreign media reports, EU diplomats aired anonymously on April 12 local time. The European Commission is seeking to impose punitive tariffs on US exports worth US$12 billion in retaliation for US failure to comply with the cessation of subsidies to Boeing. The preliminary ruling of the World Trade Organization (WTO). It is reported that the EU actually drafted a value of 20 billion.EURTariff counter-checklist. EU diplomats explained that considering the list to be circulated to EU member states and commenting, a list of 20 billion euros could be set aside to reduce the space during the consultation period. Foreign media reports pointed out that EU diplomats said that on April 15, the EU will hold a meeting on this tariff list, and it is expected that the tariff list with a total amount of US$12 billion will be announced on April 17. According to the description of EU diplomats, the EU has carefully selected products with high sensitivity in European and American trade, including: video game consoles, fitness equipment, casino gaming tables, tobacco, vodka, orange juice and a range of foods. It includes chocolate, ketchup and frozen lobster. US President Trump commented on Tuesday's proposal to impose tariffs on $1 billion in EU goods on Twitter for the European Union's subsidies to Airbus. Trump said in the tweet, "The World Trade Organization found that the EU's subsidies to Airbus have had a negative impact on the United States. The United States will impose tariffs on 11 billion US dollars of EU products! The EU has been trading in the United States for many years. It will stop soon!" In addition to the tense trade situation between Europe and the United States, this week the United States and Japan will also open the first round of trade negotiations. Japanese Prime Minister Shinzo Abe is eager to avoid tariffs or quotas on Japanese exports. Trump has threatened to impose tariffs of up to 25% on all cars exported to the US, including those made in Japan. There were many risk events last week, especially in Europe and America.Central bankThe latest sounds are released, but what is surprising is that market volatility is still low. A well-known investment bank said that the most likely factor in the market is the trade problem. According to Bloomberg, Bipan Rai, head of foreign exchange strategy at the Canadian Imperial Bank of Commerce, pointed out that there is a disturbing calm in the market in the face of the central bank. Because the market is quite calm,Foreign exchange marketThe trading range of major currency pairs has narrowed. Rai believes that this calm may continue until investors' major changes to the central bank's expectations. At the same time, Rai is closely watching global progress to look for signs of any market turmoil. Rai pointed out that it is trade that is most likely to have an impact on the market, especially if the situation in the United States and the European Union escalates. Bloomberg's latest weekly gold survey released on Thursday showed that gold traders and analysts have changed from a neutral view of the previous week to a strong bullish gold price. Of the 20 gold traders and analysts surveyed by Bloomberg, 15 are bullish, 2 are bearish and 3 are neutral. One of the reasons for the bullish gold price mentioned by respondents is that trade tensions between the United States and the European Union have intensified. Once trade tensions intensify, it may trigger a rise in risk aversion, which will benefit the price of gold. Also scared the global stock market? Trump turned to the EU to shoot! This time it is taxing the EU's 11 billion US dollars of goods. The global economic outlook is further suspicion? Trump and IMF ignite the market for safe haven! Gold bulls "smile gift"
Gold touches the 1300 mark. Concerned about several major risk events this week. Trump asks the Fed to cut interest rates again. Isn't gold spring? Gold broke through the $1300 mark "the best time"
The dollar continues to fall, and gold continues to rise. The market waits for the minutes of the Fed meeting. After the Brexit, the British people became more diligent. The unemployment rate has reached a low level for more than 40 years. 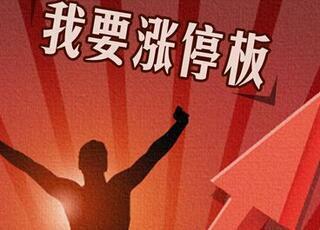 The National Development and Reform Commission called the five major power generation groups to meet. A-share "hydrogenation" is beginning to grow: the leading company will increase by 530% during the year. The crazy dye price hike was called by the association to boycott. After being certified by Ping An Insurance, the vehicle has no repair value. After 6 years, it received the illegal information. 16 articles to understand the real estate investment prospects of 297 cities I can’t make money by investing like this. Draghi wants to release heavy signals, but the dollar is harvesting unexpectedly and waiting for the big test. Ma Guangyuan: How will the real estate regulation and control be closed? Can investor suitability management really protect retail investors? Sun Wei: Hong Kong's "land transport" has already made its way to the future? Zhang Ping: The renminbi is entering the skyrocketing + yin mode? 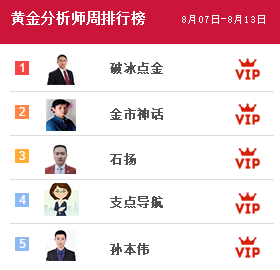 Anxin: Which stocks did the “national team”, social security and private placements buy? The Fed’s minutes are so bright that the gold breaks 1300 and is close at hand. The price of gold rose due to the fall of the US dollar. Is the market misinterpreting this economic indicator? What are the reasons for the dollar bulls to be accidentally hit? 3 Reproduce the 7 big benefits. How do investors choose in the face of "policy"? 5 Gale continues to blow "Policy bottom" is the final destination of A shares? 6 Attention! These kinds of stocks must be sold! 10 In-depth analysis: Is the national team involved blocking or sparse?